Are you a web developer and looking for an efficient method to create web apps and take care of other projects? Or you just want to enlarge your domain of activity? The best and most efficient way that you could do either of these 2 things, is to learn a new programming framework. It’s used for pretty much anything these days. Websites are built using this language, and their functionality is created by using JS. Others are using it to create web applications that will take care of certain tasks. The idea is, that JS is a widely used web developer language that won’t go extinct anytime soon. What is a Framework and Why You Need One? To put it simply, a framework is a way of work. To be more precise, a framework in our case is a working environment that will let you define how your work will be organized. If we’re talking about programming, a framework will help you organize your code in a such a manner, that you can finish a project easier and faster. Ones that work like a library: these will give you more freedom in the way you develop your project. You can use the parts that help you and tweak them the way you want. Traditional frameworks. These are tools that have certain ways and procedures to create a project and finish it. Later in the article, you’ll see examples for both versions. But for now, let’s answer the question: do you really need a framework? Code structure and testing. If you choose to use a framework, your source code for all the apps you develop will be much more organized. Structuring the code will be easier and faster with a framework than without it. And this leads to the second part of the advantage: testing. Any web app or website has to be thoroughly tested before officially launched. If your source code is well-structured, you’ll be able to test your application more efficiently. If you find any bugs, you can take care of them in a fast and easy manner. But keep in mind that you don’t have to use every one of these tools (there are 12 listed). Just find 1 or 2 that meet your requirements and go with them. This framework was first released by Google in 2012. So, it had some time to get noticed. And it really got noticed by many people. It is one of the most popular frameworks in use today. Almost any website is using in some way Angular. For instance, the first advantage that I want to point out with using Angular is that it’s suitable to build applications for various platforms. This means that you can use it to develop an application that will work on desktop, web, and mobile too. This is one of its greatest pros. The second bonus that comes with Angular is the fact that it is an open-source tool. This means that the source code is open for anyone to change it on will. This is great for more complex projects, that need a personalized environment to make them work. The Community. Being open-source means that you also get a huge community behind the framework. This is due to many contributors who work on making Angular better every day. You can use the Community to get answers for certain development issues that you might face along the way. It’s also good to just hang out, and get to know Angular more thoroughly. Another pro that comes with using Angular is the support from Google. This framework was released by Google, so you can expect regular updates to it. Angular is a tool that receives a lot of support from the developers behind it. Because of this, it’s most likely that this framework will be used extensively in the future too. The last advantage that I want to mention here consists in the fact, that Angular is user-friendly. This could be very important for first-time users, such as you. This way, you don’t need to spend a lot of time getting accustomed to the framework. You can start building applications with it, relatively quickly, compared to other tools. Angular, as you can see has many advantages, and there are many more that you’ll learn about if you start using it. But for starters, it can be a great introduction to using a JS framework. Polymer is also a JS framework, but a bit more recent than Angular is. Just like Angular, Polymer was also created by developers from Google and it’s open-source. You can contribute to the framework on GitHub if you want to. Polymer is more like a library than a classic framework. That is why it gives you a lot of freedom in the way you organize your working environment. But what advantages and features does Polymer have? Let’s find out! For start, to be able to use Polymer, you only need one single HTML file. That is all you need to create custom elements using Polymer. This is a lot simpler than with Angular because there, you would have to open several files to understand the component you’re just developing. So, in this case, Polymer is easy to use by any JS developer. Another feature that Polymer has is tied to styling. If you create a website, it needs styling elements to make it look appealing. In today’s world, this is done with using CSS3. CSS variables are accepted by Polymer and even mixin declarations. This will help your design and styling process to be more versatile and efficient. Basically, using Polymer, you can use every new feature that CSS3 has introduced. Polymer is also great at working with other libraries or tools that are needed in the development process. Because of the fact that it has no extra layer, data exchange can be done easily with other third-party applications. Getting used to a new framework is important if you want to be proficient using it. Luckily, Polymer comes with a very detailed and up to date documentation. It will help you learn the ins and outs very quickly. But if you stumble upon any problem, the community is there to help you. Another advantage that comes with using React is the code reusability. This can prove to be a real time saver method. With React, components are isolated, which means that developers can manage updates easier because the change in one component will not affect others. Because of this fact, you can reuse code and make your development process more efficient, without the need to recreate something that already worked before. The last feature that I’ll mention here and comes with using React is the big toolset that you can use. React comes with many tools to help you out later in your projects. For instance, there’s an extension for Chrome called React Developer Tools, that is used to examine the DOM and edit it the way you want using React. A similar tool is also available for Firefox as well. Ember is really a framework at its core. Why do I say that? Because it consists of a big number of APIs. You don’t have to reinvent everything, because everything you can use is already set and ready for deployment. This means that there are many conventions in Ember. So, you can focus more on building your application’s functionality, rather than on recreating everything from scratch. Basically, Ember is developed to be a productivity tool for web developers. A great thing about Ember is the EmberAddons.com website. What is this about? As you can probably tell from its title, this is a website where you can find all kinds of Ember plugins ready for use. Put simply, this is a plugin repository where the community behind Ember is contributing. If you need a certain piece of code or an entire plugin, you can simply go to this website, search for the code you need, and add it to your application. It’s that simple. I already mentioned that productivity is a goal of Ember, and this tool can really help achieve it. Another good aspect of Ember is the backward compatibility it offers. What does this mean exactly? 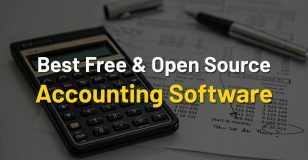 There are certain tools/software that work well, but only until a new better version comes out, and you have to entirely rethink the implementation of it. That is because that newer version isn’t compatible with certain features the old one had. So, you could have to rebuild the entire application to work with the version at hand. Luckily, this is not the case with Ember. It was built and it is managed in a way that every new version that comes out, will work seamlessly with applications that still use the older version. This is great because while you don’t have to stop your app from running, you can do all the necessary changes that might be needed to make the app work even better. There are other advantages that come with using Ember, but to know them all, you should try out the framework for yourself. You won’t regret it. The first aspect that needs to be mentioned is size. If you use a framework, no matter what programming language it is based on, you have to look at its size. There’s a good reason for this. If you use a framework that takes up more memory, it could work less efficiently. That is because a larger-sized framework can take more time to load and run your applications. With a smaller one, like Vue, you don’t have to worry about this. It will run smoothly and you can use it quickly when the time comes. The size is only around 20-25KB. So, even downloading it, won’t take long, and you can use it right away. The simplicity of the framework is another advantage that’s worth mentioning. You can learn it in no-time. And the syntax being simple and easy to understand comes with another bonus: if you already know Angular or React, you will easily understand Vue as well. One of the advantages of Backbone is that it’s cross-platform. This means that you don’t have to use it only for one certain platform, like mobile for example. It also works with other platforms as well. This is great if you want to develop an app that will be available for mobile and the web too. It will greatly shorten the time needed to create and test the application because you don’t have to do the same things twice. If you need a framework that works seamlessly with the back-end, then Backbone is your candidate. It was created to interact directly and without any problems with the back-end of the application at hand. This means that you can directly access the APIs for write, read and delete actions. If you correctly designed it, of course. The next big advantage that Backbone has is the multitude of conventions it comes with. If you follow them properly, there isn’t much need to write a lot of new code. You can just use the conventions already there, and thus you’ll have a cleaner source code for the developed application. Managing the app in the future will be easier because the code is standardized and more readable. This means that others can easily understand it as well. The first pro that has to be mentioned is the wide array of use for Node. Almost every company/organization is using Node in a way or another. For example, it is used extensively for handling live chat applications. These are integrated into many websites today, and there’s a high chance that you’ll work with them in the future. So, knowing Node will help you a lot to work efficiently with this type of communication method. 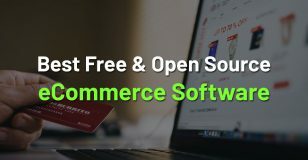 There are many other apps using Node: PayPal, LinkedIn, Yahoo, Uber, Netflix, eBay, and many others. I said that Node is a framework that works as a server-side tool. And that’s true, it is mainly known as that. But one of its greatest features is the ability to handle both client and server-side programming. You can easily transport data between the client-side and the server-side. This way, you can coordinate the 2 sides, and you can make them work simultaneously. Basically, if you do this, the changes made by you will instantly appear in the application or webpage your creating. 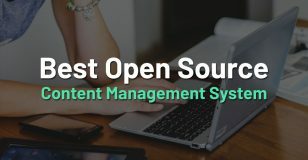 One advantage that Node is well-known for, is the community behind the platform. They are very helpful in solving any problem that might come up when you develop a new application. Just visit the forums, and see for yourself. The community is also responsible for many new features and modules available for Node. Because of the fact that Node is an open-source tool, you can contribute to the code as well. Newer options are added daily to make it even more efficient for modern web development. Meteor is a pretty new addition to the multitude of frameworks in use today. But being new doesn’t mean that it isn’t popular. Many web developers are working with it, and are recommending it for others as well. There must be some good reasoning behind this, right? The main advantage that comes with Meteor, is the fact that you can use it to develop applications for all kinds of platforms, not just the web. Basically, Meteor is working as a cross-platform tool, like another candidate that we talked about above. Being a cross-platform framework, you can save a lot of time and effort when designing a new application. Making it work on mobile and web, for instance, is done seamlessly with very few efforts. Another advantage of Meteor is the real-time development process. This is taking a lot of attention these days. Many people want to work with a tool that allows this feature. Every change you make in the code using Meteor will automatically update the output in the application in real time. You can see the changes you made instantly, thus saving a lot of time when you test certain parts of the app. Mithril is a modern framework used mainly to build single-page web applications. It is being used on the client-side, differently from Node and Meteor that work on both sides. Mithril is a small-sized framework, just like Vue. But compared to it, you can see that it’s even smaller in size (less than 9KB), thus giving you fast working times. When you want to learn a new framework, you should choose one that is easy to learn. We had some items already that fit this need. But, Mithril is also a good candidate for this spot. To be able to work with it, you only have to learn a few methods that will let you make the most out of the platform. This way, there is not much time wasted with getting to know the framework. You can start using very quickly. Mithril’s performance is also worth pointing out. Compared to other frameworks, like React for example (which is similar), the loading times are way less. On many occasions, the loading time is even less than half of the other framework. And if we talk about performance, it must be mentioned that Mithril handles really well updates too. When an app gets a new update, there’s a high chance that it’s running in real-time. And thus, maintaining good performance is harder. But, Mithril can well handle this aspect. Aurelia is a framework that works on the client-side just like Mithril. It has many advantages that are present with Mithril too. Like some other items on this list, Aurelia is also a supporter of conventions over configuration. You don’t have to configure every component you’re going to use while developing an application. The conventions that Aurelia has put in place, will let you have a cleaner source code, that works efficiently. All this is achieved, without a lot of time put into the configuration of every element. If you want a framework that puts fast and efficient development on the first plan, then Aurelia will make you happy. Compared to other frameworks, like Angular, for instance, Aurelia has a smaller community behind it. But this isn’t making Aurelia a bad tool for web development. The small, but active community will gladly help you out with any problem that may occur in the creation process. And it surely helps that they are actively contributing to make the framework a better tool by the day. The first and probably most liked feature that Socket has to offer is the ability to create real-time web applications. As you already know by now, this means that any change made to the source code will be displayed in real-time in the application at hand. This makes Socket a good candidate for those who need a framework capable of this process. 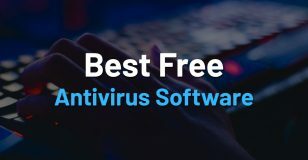 Many people say that you don’t need this tool anymore because there are other methods you can use to take care of what Socket does. But on the contrary to these statements, many people are still using the framework, and others are beginning to use it as well. The good thing about this tool is, that it’s quite easy to learn and implement. So, if you want to know a tool that could come in handy sometime later, considering Socket, isn’t a bad idea. This is actually the first advantage of this framework. If you want to develop a mobile application that will work on Android and IOS as well, you only have to write it once. NativeScript will take care of the rest. The application will run smoothly on both platforms from the start. Another great thing about this framework is the fact that it is totally open-source. If you search in the community forums, you will easily find the answer to almost any problem that might come up. And having an active community behind it means that there are new features added to the framework regularly. You can even find ready-made plugins that only need to be implemented and used as they already are. 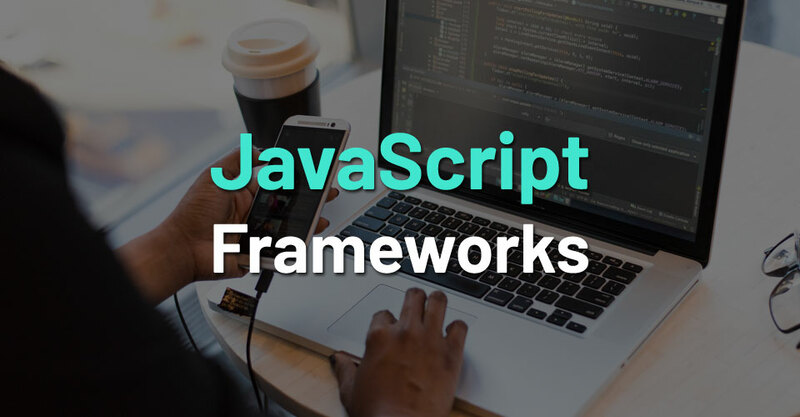 Now that we reached the end of our list, you should have a better idea of what JS framework is best for you. But to choose wisely, it’s best if you think about what you want to develop and choose accordingly to that. For example, if you want a framework that is great at creating mobile applications only, then NativeScript could be a good choice. But if you want to create cross-platform apps, then you could go with Meteor. You get the point. So, think about it well, and you’ll surely go with the best tool to fill your specific needs. 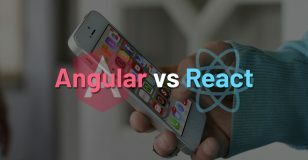 Angular vs React – Which to Choose for Your App?